When hosting your next soirée, nothing creates that perfect atmosphere quite like an expertly handmade cocktail presented in an exquisite Murano crystal cocktail glass. 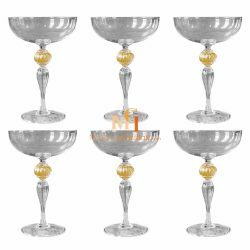 Our luxury and colorful collection of cocktail glasses will make your next Old Fashioned or a Classic Martini look as though it’s straight out of the best mixologists’ repertoire. 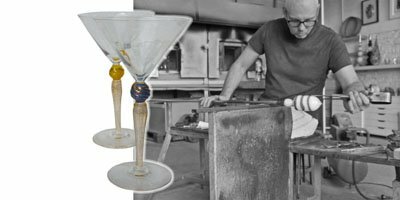 Each creation is expertly 100% mouth blown by Italians artisans using the finest quality Murano crystal glass. Its arresting clarity and luminosity instantly impress. A fresh take on a classic crystal cocktail glasses. 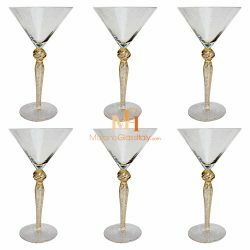 The sophisticated shape of these exquisite Murano cocktail glasses makes them a perfect choice for special occasions.